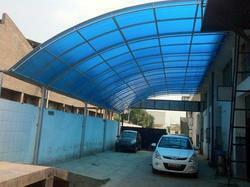 We are a leading Manufacturer of outdoor polycarbonate shed from New Delhi, India. We are leading manufacture and suppies of Outdoor Polycarbonate Sheds. We use best quality raw material to prepare Outdoor Polycarbonate Sheds. Please feel free to contact us for any requirments of Outdoor Polycarbonate Sheds. Looking for Outdoor Polycarbonate Shed ?